Friends of the St. Clair River offers the perfect way to show your love to the Gentle Giants of the Great Lakes! When you adopt a Lake Sturgeon you are showing your concern and respect for the Blue Water Area’s environment and wildlife in the most meaningful way. For 200 million years, sturgeon have been swimming the waters of the world. They outlived the dinosaurs, yet in less than one sturgeon’s lifetime, humans have brought this prehistoric fish to the brink of extinction. Almost all species and populations worldwide are in trouble. Lake Sturgeon are threatened or endangered in seven of the eight Great Lakes states and their population is estimated to be 1% of what it once was. 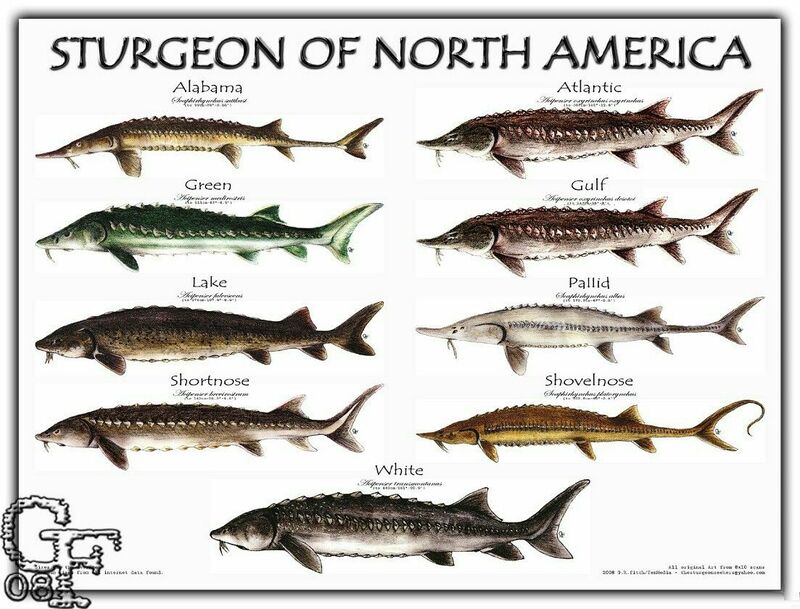 Currently, Lake Sturgeon in the St. Clair and Detroit Rivers are experiencing levels of recovery with help of the U.S. Fish and Wildlife Service and the Michigan Department of Natural Resources. In order to get a better understanding of their life cycle and movements, biologists are recording the abundance, distribution, age, growth and health of the species. While strict regulations have been put in place to limit and monitor harvest, pollution control and habitat restoration are driving factors in the restoration of Lake Sturgeon in the Blue Water Area. Your symbolic adoption of a Lake Sturgeon today will connect you with ou efforts to protect the Blue Water Area’s most significant and threatened wildlife! Your adoption helps support our important work of protecting St. Clair County’s watersheds and connecting people like you to our conservation efforts. Pride in knowing that you are furthering the conservation of Lake Sturgeon in the St. Clair River! Give a school classroom, youth club or scout group of your choice a sturgeon to adopt! Our School/Youth adoption package, in addition to the features listed above, also comes with customized sturgeon science curriculum, classroom presentation, and hands-on activities. Contact our Environmental Educator education@scriver.org to ask about our School/Youth adoption package. For only $250 more you can give a school a sturgeon! For only $200 more you can give a school a sturgeon! Friends of the St. Clair River is the Blue Water Area’s largest environmental non-profit that inspires citizen action through monitoring, education and stewardship to restore, protect and enhance the St. Clair River and its watersheds. We are supported by sponsorships, grants and donations. We believe that the St. Clair River and its watersheds should be a thriving ecosystem that is protected to maximize environmental, social, recreational, and economic values and services. Water quality monitoring, volunteer clean-ups, and more! Friends of the St. Clair River is a 501c3 non-profit organization. The full amount of your payment a tax-deductible contribution to the fullest extent of the law.This program is a partnership of Friends of the St. Clair River and St. Clair-Detroit River Sturgeon For Tomorrow. Stay up to date with Friends of the St. Clair River. Sign up to receive our e-newsletter.